The Maltings. Each name has its own place in history which stretches back over the last 400 years. 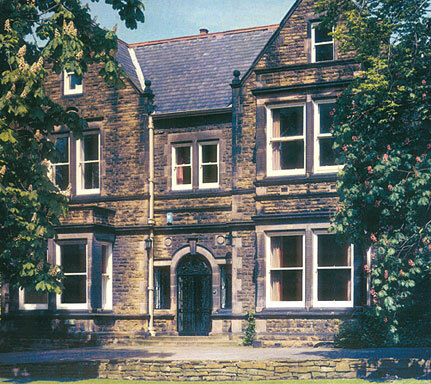 Bradbury Hall was a very well known building dominating the lower Brampton area, on the main Chatsworth Road. Over the years it has served the community in many different ways. 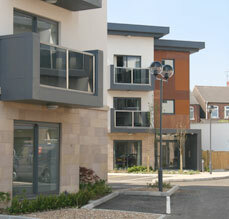 The first building on the site is thought to have dated back to the 17th century. Field House as it was known then was purchased by John Smith in 1803. He was considered a gentleman with a wealthy family background. His father was the owner of the Brampton Ironworks. in 1809 with a second purchase of land and a cottage. He died in 1814 leaving his legacy to his wife Mary and four children. It wasn’t long after John’s death that Mary built an ale and porter brewery on the land behind Field House. Mary then went on to mortgage the property for a further £500 in 1823 and the mortgage was transferred to James Shemwell. The property was then sold again to William Belfield who occupied the house for some of the time as the owner. During his ownership, a malt house had also been built on the land next to the house. In 1837 William died and the property passed to his nephew Robert Belfield.After having a number of tenants, William Bradbury Robinson went to live there as a tenant in 1852 with his wife Elizabeth and their first child Martha Annie. William was the son of John Bradbury Robinson, the founder of Robinson and Sons. After bringing up 9 children in Field House, William and Elizabeth moved away in 1867 owing to her ill health. Elizabeth died in the same year. Around 1870 the house was sold by Robert Belfield to Charles George. He was a tailor who specialised in uniforms and was contracted to supply those at Chatsworth House. His daughter Isabella was proprietor of a millinery in Glumangate and apparently her name can still be seen on the tiles in the doorway. The Malthouse was also known as the Oast House and has its own history. It could not been seen upon entering the yard of the main house since it was surrounded by cottages. It was however the factory to J.J.Cockerell, Gothard & Co who were the manufacturers of Queen Elizabeth Sauce. The Malthouse was also utilised as a soda water manufactory in later years and in 1887 St.Thomas Mission church began in the Brewery yard. In 1928 Field house was purchased from the Robinson family by the company of Robinson and Sons to provide canteen and welfare facilities for their workforce. In 1937 there was a major redevelopment and a new room was added called the York room after the Duke of York who became George V.
Bradbury Hall provided much needed temporary shelter during the war years, becoming a registered rest centre. At the end of the war in 1945 it continued to provide welfare facilities for Robinsons and then finally in 1984 it closed its doors to the staff as it was considered no longer suitable. It was then sold and became a bar and restaurant for a number of years and later evolved in to a nightclub. 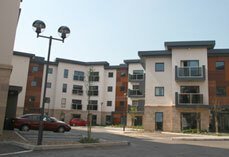 The site was completed in the summer of 2008 and consists of four prestigious apartment blocks. Each block has been named in memory of times gone by to preserve the history of Bradbury Hall.